Will Social Media Marketing Change in 2017? Social media has been changing swiftly, breaking down barriers and completely changing the way we do marketing. With humble beginnings as a place to connect with family and friends, to a booming marketing platform used by virtually every business on the planet, the growth of social media has been nothing short of outstanding. The popularity of social media has been increasing and is showing no signs of slowing down. 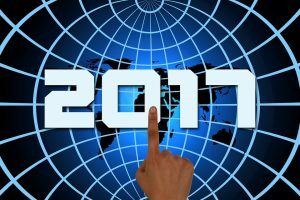 In fact, social media is expected to continue changing for next couple of decades, but first, let’s see what we can expect for 2017. While this is not a new concept, we can expect the usage of video marketing to continue growing into next year. The rise of smartphone usage is what has facilitated the growing trend of video marketing. More and more firms understand the benefits of using video to convey their brand messages – including a 300% click-through rate when accompanied by email. You should expect video marketing to hit the next level in 2017. You will notice that a lot of big firms are investing into personalisation. A good example is Amazon and Google, where previous searches you made are influencing future searches to provide a unique experience. We can expect social media to follow the trend and firms stand to benefit from more personalised platforms as they will allow them to narrow down their marketing efforts. Streaming video is the newest kid on the block today with Facebook Live, Periscope, and Snapchat leading the way. Streaming video present firms more opportunities to connect with their customer base, in ways that weren’t possible before. Live content is a great way to create buzz around product launches, for instance. Expect streaming video to be big in 2017. AR was popularized in 2016 with the huge Pokémon Go phenomenon, but it has applications well beyond gaming. In the production industry specifically, organisations have incorporated AR into their day-to-day operations, inspections, maintenance, and training, but few firms are using this experience to market their brands to the consumer. And with snapchat soon integrating AR into their application, you can expect AR to be a big thing in 2017. A few years ago, social media was a hit-or-miss technique when it came to marketing and it depended a lot on gut feeling. Today, however, analytics have become easier to access, more comprehensive, and a powerful tool used by most business owners using social media for marketing purposes. Expect statistics to play an even bigger role coming into next year. Social analytics tools such as Followerwonk, Buffer, and Iconosquare Analytics that are geared to business owners are making a big splash already and you can expect the trend to grow in 2017. These are just some of the marketing trends we can expect for 2017. If you are new to some of these methods, we recommend that you look into them in more depth to see what they have to offer your organisation. Marketing methods are evolving, and those who jump early usually have an advantage over their competition, so don’t be afraid to give some of these methods a try in 2017 if you want to take your business to the next level. « Yelp and Foursquare: Should You Be Using Them?